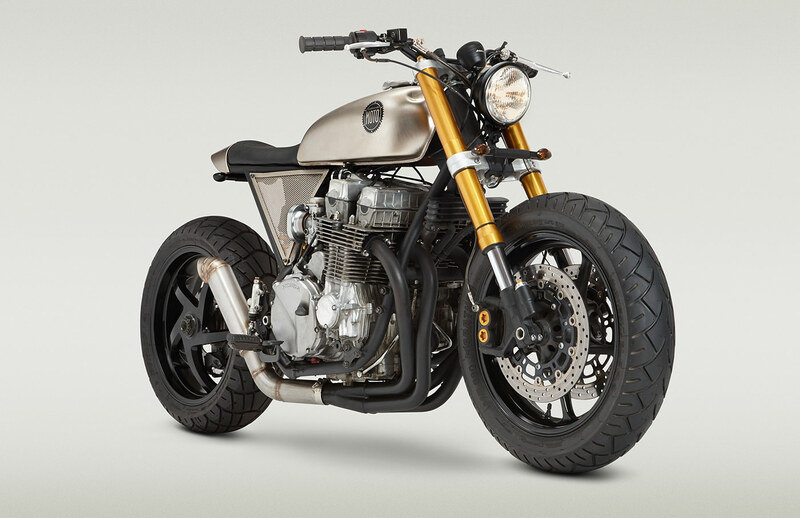 The no-frills CB750 Nighthawk is quickly becoming one of our favorite blank canvases. 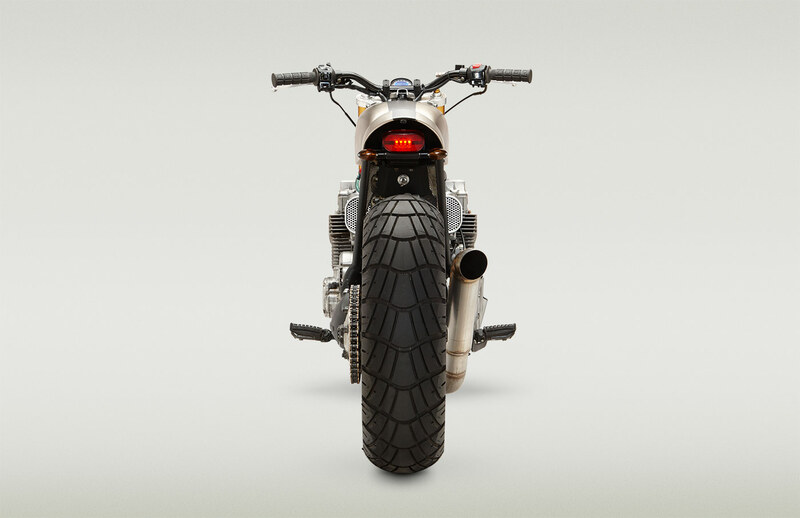 And this is the bike that started it all. 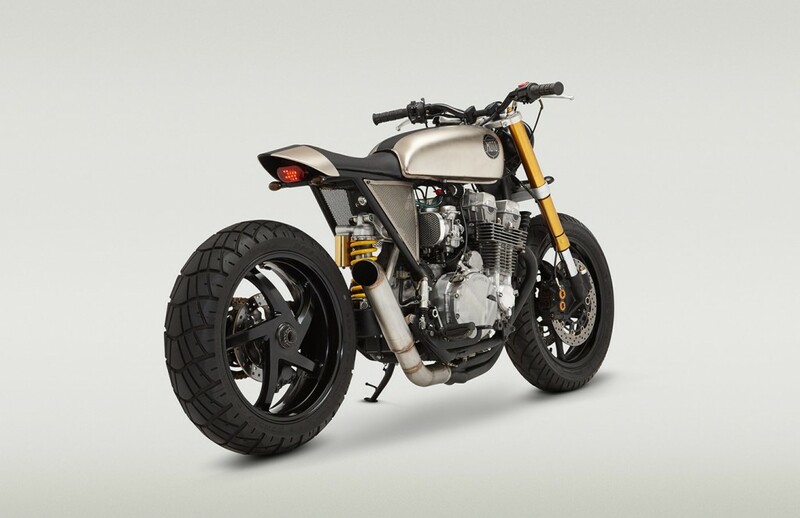 When scratching our heads to come up with a successor to the XV platform, we discovered that the Nighthawk had a lot to offer — a great Honda power plant with parts available on demand, plenty of power and a frame that can accommodate all our favorite mods. Plus, we don’t have to search high and low to find them for sale. 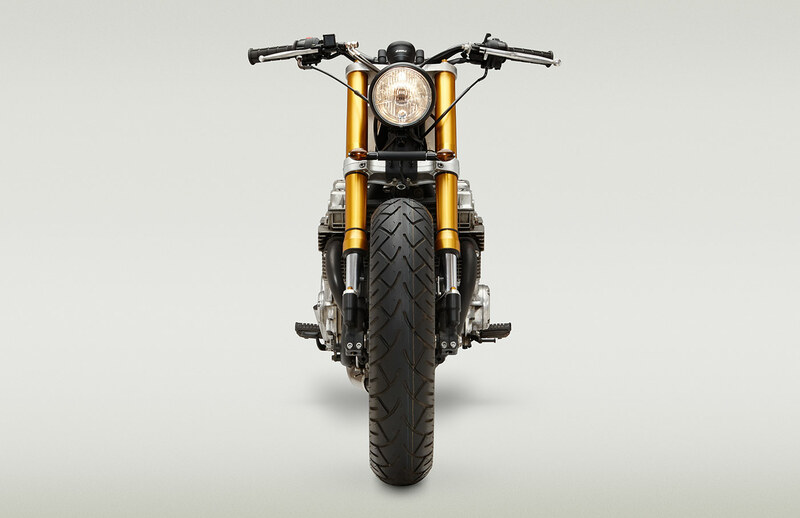 The buyer is a commercial pilot out of Dubai, UAE, and he loved the look of our XV builds as well as our SuperStrada (based on the previous generation CB750). 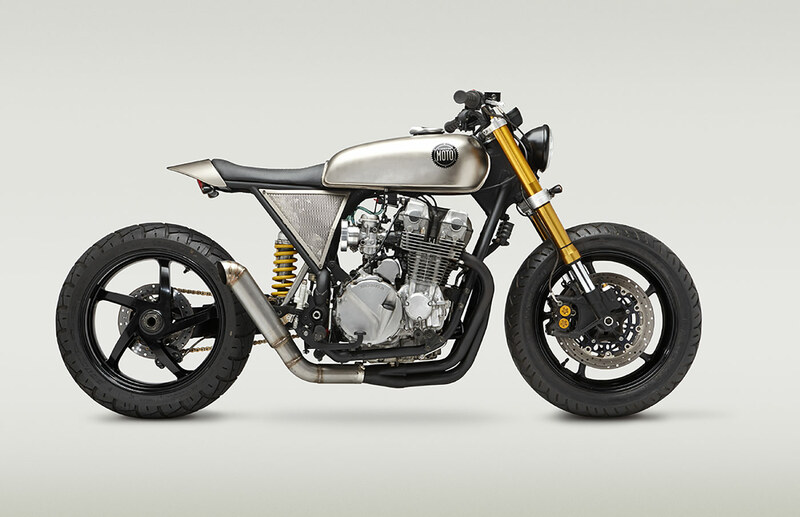 So we combined the look and attitude of both and came up with a retro-modern muscle tracker. It sounds as mean as it looks.